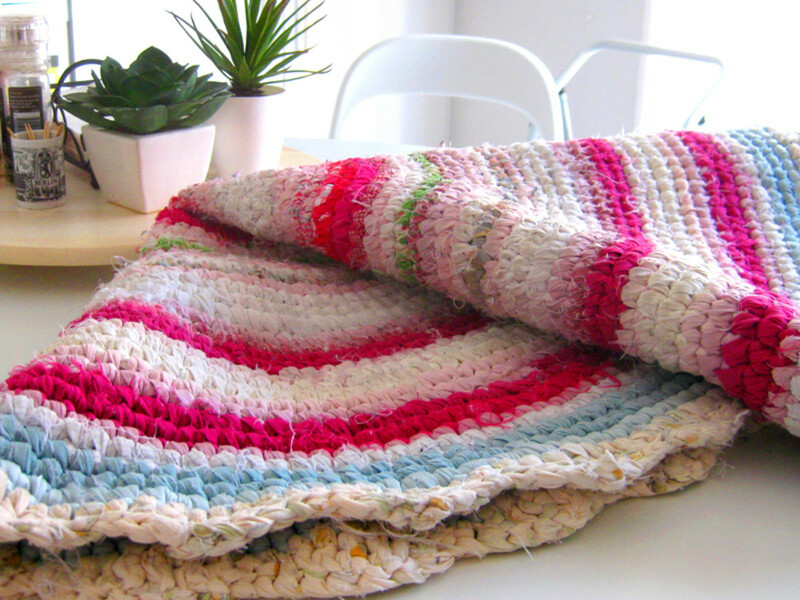 If you’re looking for an easy, fun project that doesn’t require much mental effort (apart from selecting colours and doing basic crochet), then making a rag rug is the perfect project for you! Suitable for fabric hoarders, rag rugs are very hardy and will happily go through the washing machine a multitude of times. They are also easy to repair with a needle and thread, should a loop come undone. 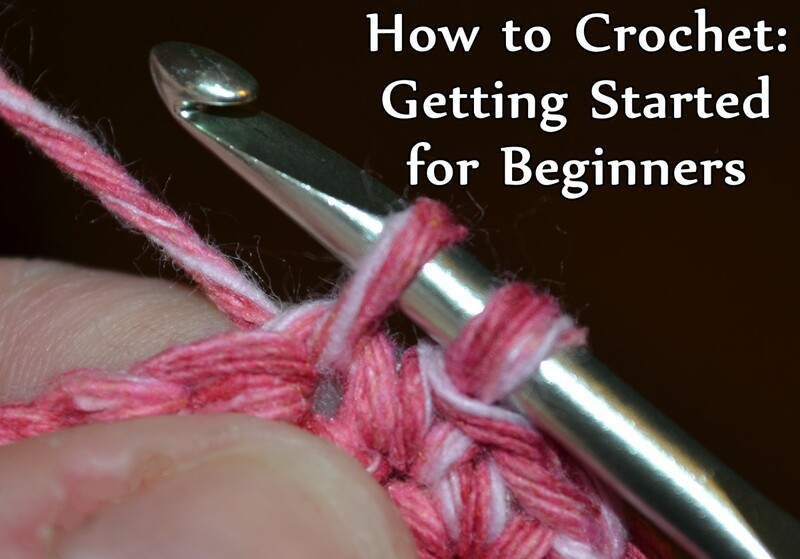 You don’t need to buy a lot of craft materials to get started; a crochet hook, scissors, needle, thread and the right fabric is all that is needed. Often the only thing standing between a potential rugmaker and an outstanding rug is obtaining the right fabric to work with. If you imagine fabric as thin as a tissue, that is what to look for. 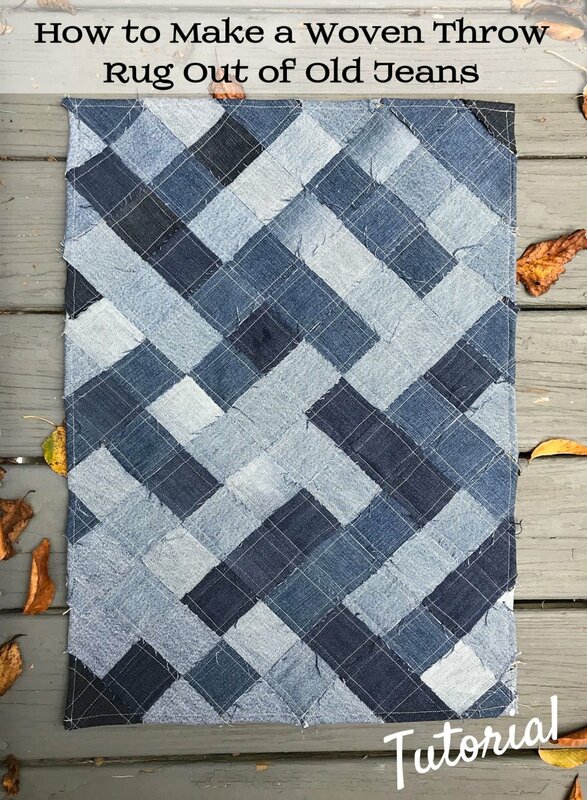 While other tutorials recommend items such as recycled tshirts and towels, if you want a finely detailed rug with tightly woven loops, you will need to have thinner and flatter fabric, preferably fabric which doesn’t shred at the edges or break off into little bits. A small bit of shredding is fine, but if the fabric drops bits EVERYWHERE after cutting one side, you’ll know it’s the wrong one. Elasticated or polyester fabric is fine, as long as it is thin. The thinner the fabric, the better – transparent fabrics work well, as does cotton. 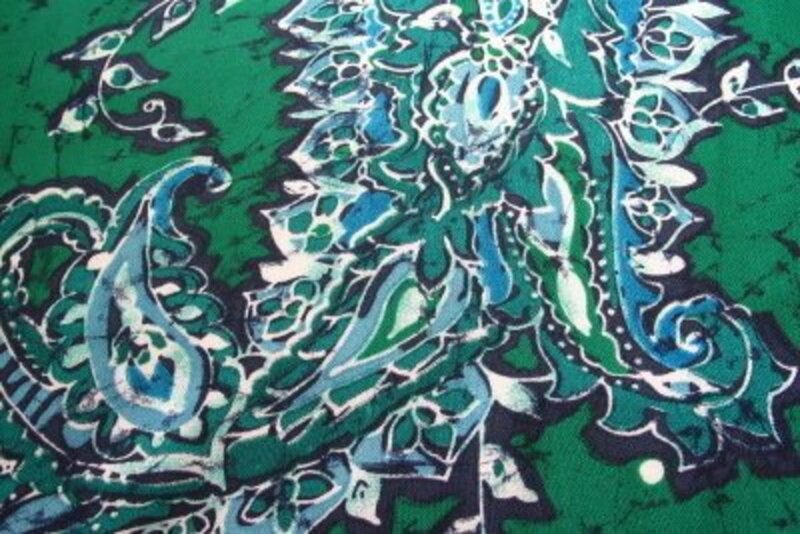 Make sure that the fabric is of a certain length and width. To do the centre rings, a minimum of 30cm x 60cm may be needed and as you work outwards, more fabric is needed per colour ring. I often find bedsheets are the right size to work with on the large outer rings, while a recycled skirt is the right size for inner rings. Firstly look for any items in your wardrobe that have ripped in the wash. Chances are, they are exactly the kind of delicate, floaty fabric we are looking for. Old nightdresses with holes in them, or doona covers that have worn too thin are perfect for rag rug making. If you have any spare patchwork fabrics or other fabrics which weren’t 100% cotton but look OK, these can be used too. 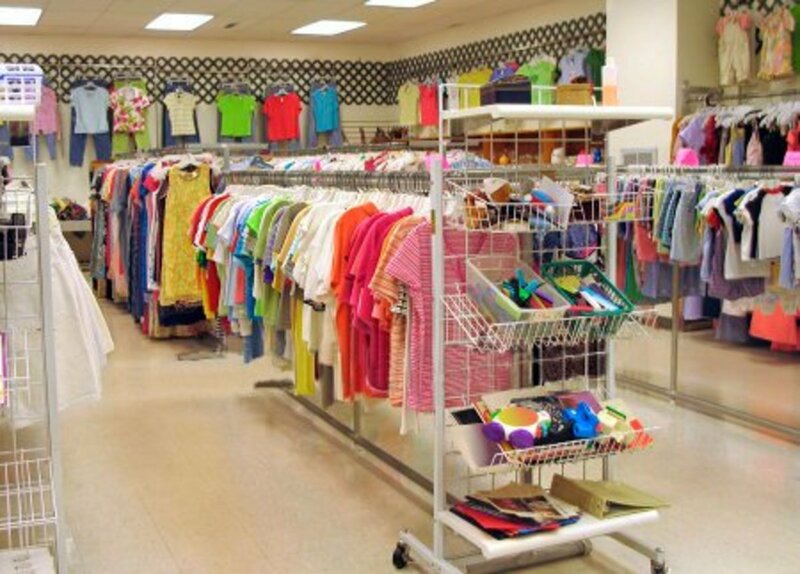 Visiting your local thrift shop, recycled clothing store or op shop can yield cheap but attractively patterned bedsheets, skirts, dresses and other clothing with thin fabric. Use highly decorative fabric for the brightly coloured rings (see photos). Then use bedsheets or haberdashery fabric for the bulk of the outer rings, to minimise costs. Large printed patterns show up as stripes when rag rugged. Small patterns (think mini florals) show the design better. It’s good to try a mix of both. If you want a multi-coloured effect, like my rug, get fabrics which contain lots of colours in the one fabric, and also get some plain one-colour fabrics in some of your main colours. Feel free to work gold or silver printed fabrics into the rug too – printed cotton is best, so it doesn’t shred. You can also use sparsely sequinned fabrics for a bit of texture. You don’t have to choose a theme if you don’t want to. But having a colour palette picked out means that you won’t spend money on unnecessary fabrics. If you’re getting a lot of colours together, it can add up, so it’s a good idea to have colours picked out. Firstly, decide if you want a lighter or darker coloured rug. Then decide what your main three colours will be. In the case of the rug I made, I chose pink, blue and yellow as my main three colours. After I’d obtained a couple of fabrics, I cut small parts off them and carried them with me, to see how the new fabrics would blend with the existing ones. I bought the bed sheets in light pink and yellow first, then obtained the patterned and coloured fabrics after checking they would match the look of the rug. Do you think you'll try gradation? You’ll notice that in my rug, the coloured rings look gradated, that is, they blend from lighter to darker. Using gradation in rag rugs makes them appear much more attractive and is the way that professional rag rug makers do it. To perform gradation, simply make sure that your fabrics are used in order from lighter to darker (for a light rug) or from darker to lighter (for a dark rug). Each coloured band should have the stripey or patterned colours first after the main sheet colour, followed by the more solid colours and ending with the most obviously visual solid colour before returning immediately to the main colour again. In the example below, you can see that to create a coloured section, I used two gradated bands to add a bit of pep. Feel free to experiment with this technique, but always use the brightest, most solid colour on the end of your gradation to get the right effect. Cut fabrics in a direction to get the longest strips from them. Cut strips of exactly 1cm wide (no wider). Do not tear or rip, just cut with sharp scissors. 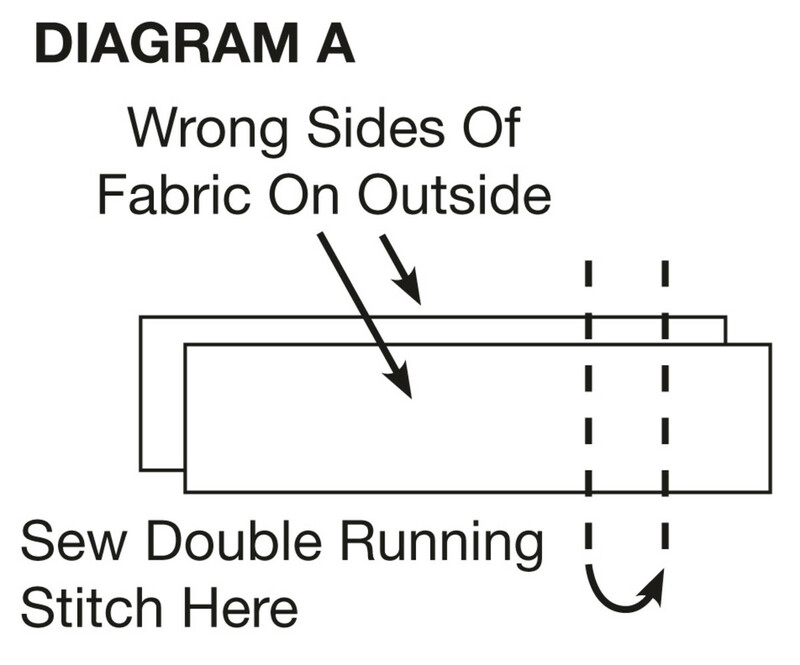 Double sew right side strip ends together with cotton thread in a running stitch as you run out of fabric, so that the strips do not get tangled up (Diagram A). Do not roll strips into a ball as this gets heavy and tangled when rag rugging. Add strips as needed as you go. Cut tops by trimming off any thick hems at the top, bottom and end of sleeves. 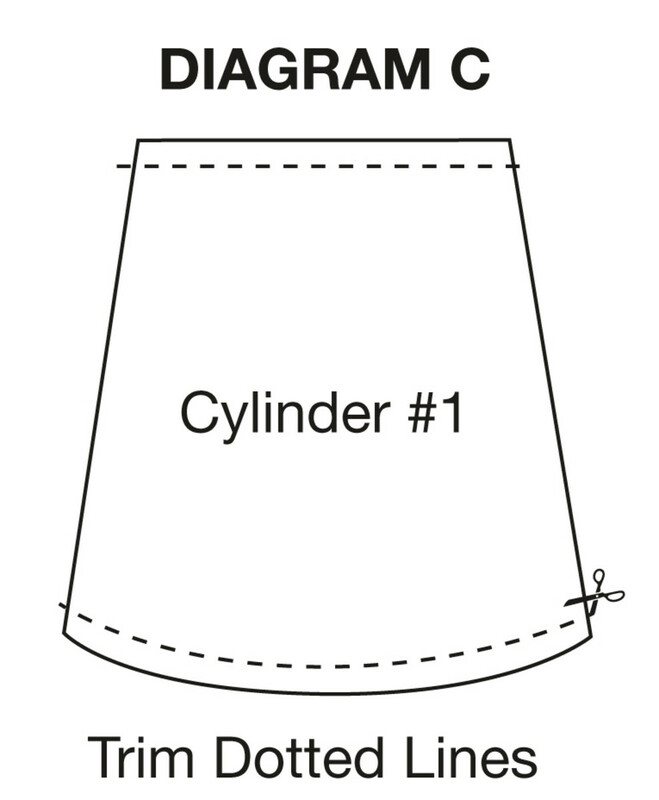 Then create cylinders of fabric (Diagram B). 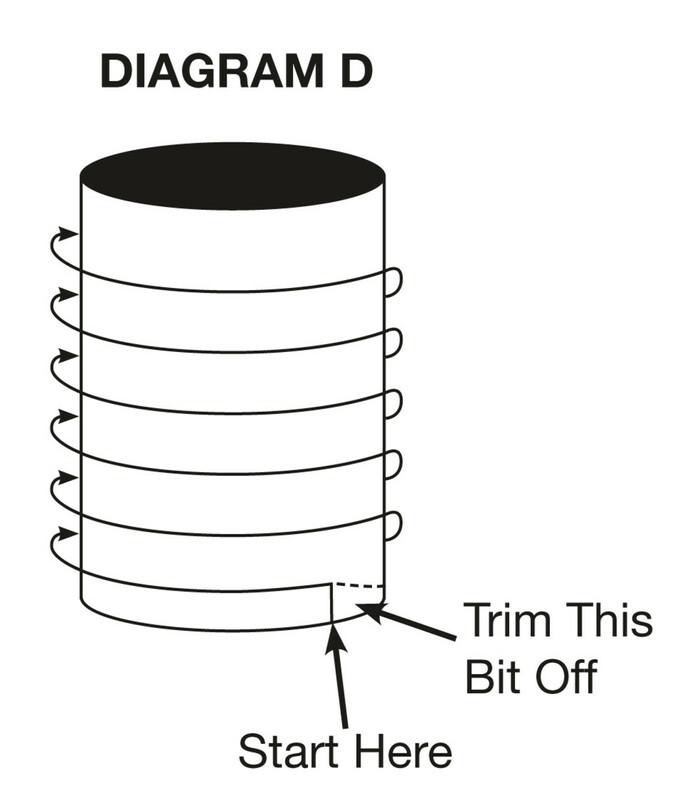 Cut skirts by trimming off thick hems on the waist and bottom of the skirt and create a cylinder (Diagram C). 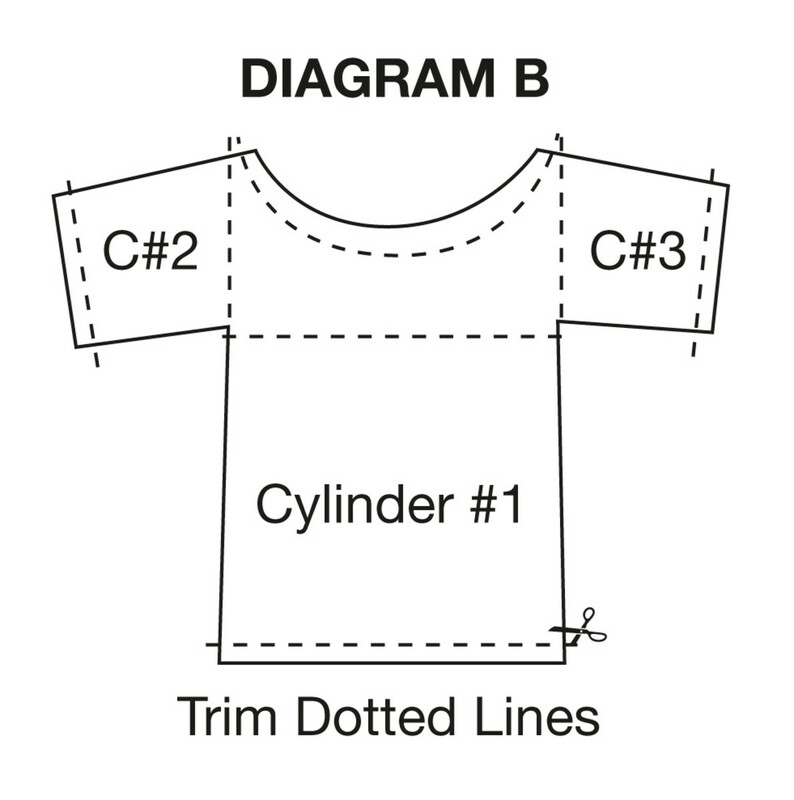 Cut 1cm strips of fabric from cylinders (Diagram D). Keep original side seams intact (don't unpick side seams). If side seams are loose, you can double sew a running stitch to reattach them back together, but most times you won't need to. For the purpose of this tutorial, I will now refer to the fabric strips as "yarn". 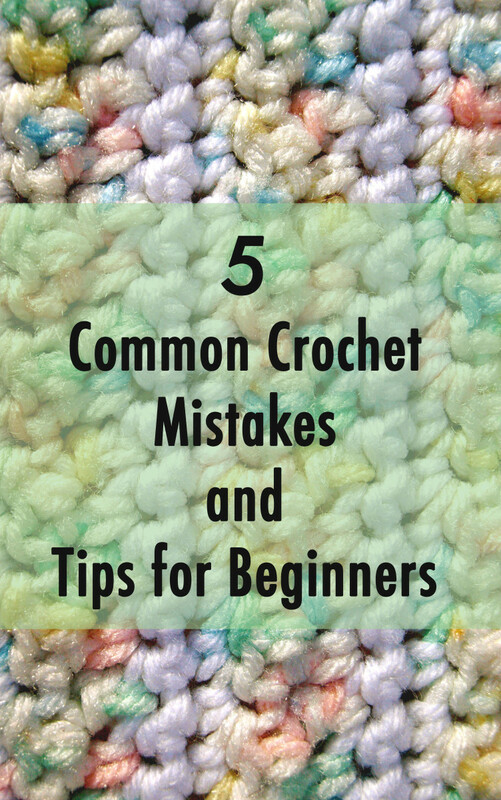 I am assuming you have a basic knowledge of crochet, however I've also included some diagrams/videos to assist. 1. 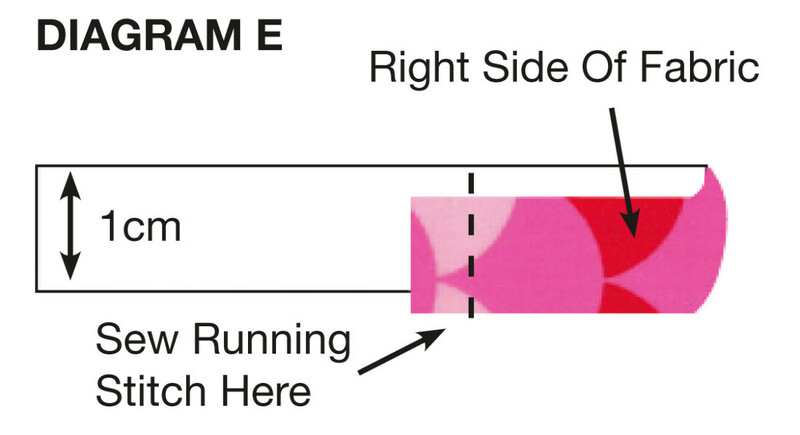 Fold over 2cm of one end of your starting strip with the right side of the fabric on the outside, and sew a line across it (Diagram E) so it forms a loop. 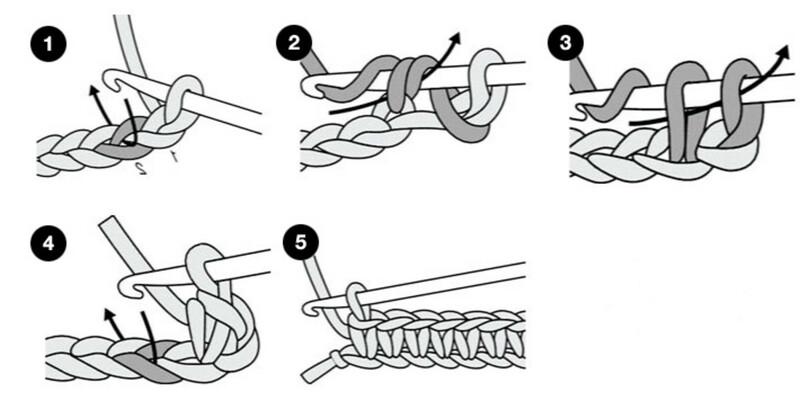 Make sure to knot thread at the start and sew a few knots at the end so the sewing doesn't undo. 2. 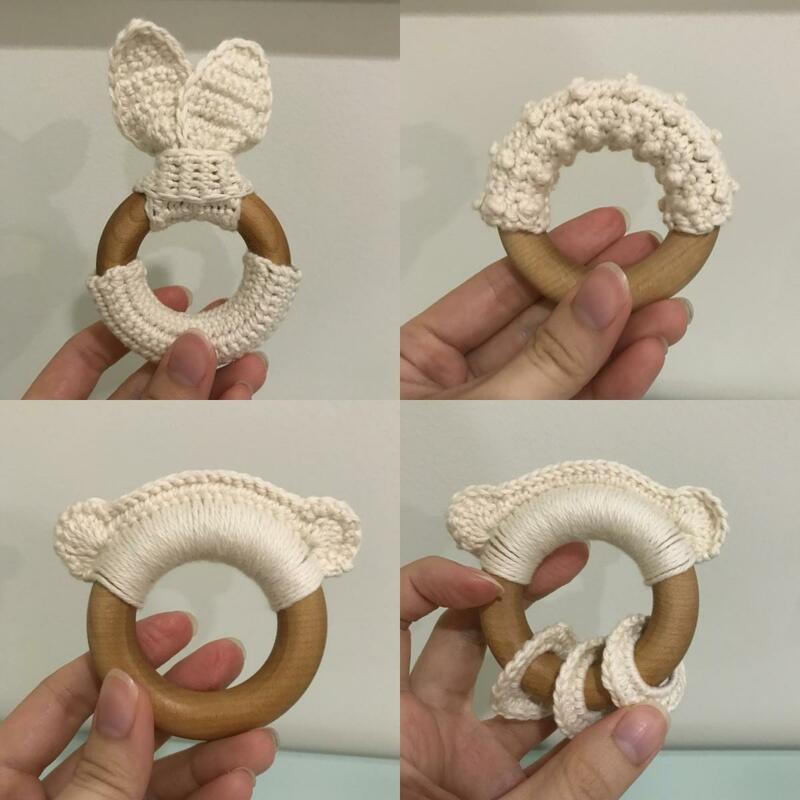 Make a foundation ring of 6-8 stitches using the chain method, and then work 12 double crochet stitches into the ring and join up, as per video below. You can also try the Magic Ring method if you like, but I use the traditional chain method. IMPORTANT: As you pull through your fabric yarn through loops and on the crochet hook, try to always have the right side of the material showing. Some people like to fold the "yarn" in half lengthways, with the right side on the outside. This means that your rug will have the right colouring as intended, rather than the wrong side of the fabric showing. 3. After making the starting ring and double crochet ring as per video, start working coloured rounds using single crochet stitch. For the first few starting rounds, use one colour as it is easier. Then, select a new colour and attach as per Diagram A. To start the new colour, put your crochet hook into the next stitch of the work, and where possible, yarn over using the yarn that is past the join, so the join remains on the back of the work. Don't forget to make sure the right side of the fabric is showing as you work! 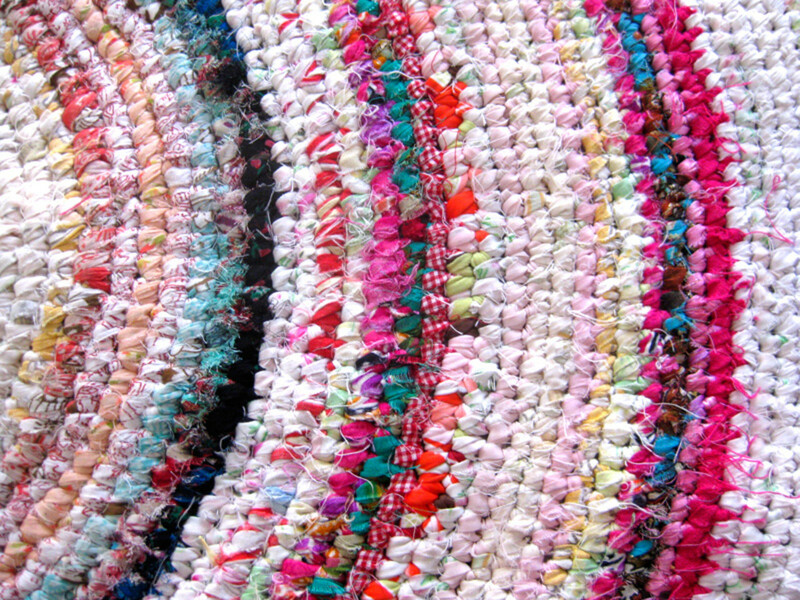 All rag rugs are different in weight and shape, due to the different fabrics contained. 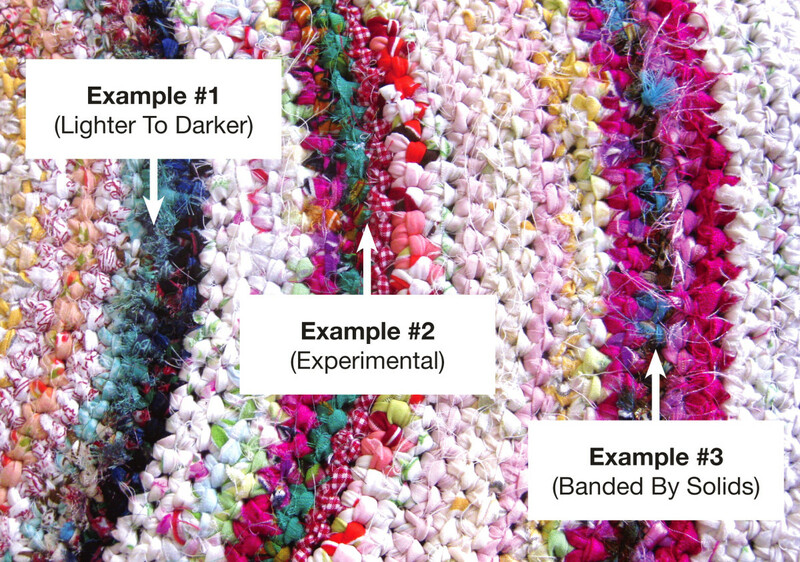 Hence there is no definitive pattern for rag rugs. You will need to increase the number of stitches as needed. When you notice the edges of your rug curling up slightly, you will need to increase stitches on the next round to make the rug lie flat again. I usually do it by doing ratioed amounts (for example, four single crochet stitches, followed by two single crochet stitches in one hole). This ratio can vary. The idea is to try to make the rug lie flat after doing a round or two of increasing. Sometimes, this can involve doing some increasing, assessing it, then undoing the round and trying a different ratio. It is easy to undo the round, just pull very gently on your fabric yarn to undo it. You will know when the increasing is too much, because the the rug will get frilly and it won't sit flat, but instead will have fabric bunching up on the edges. With practise, this will become a very easy process. 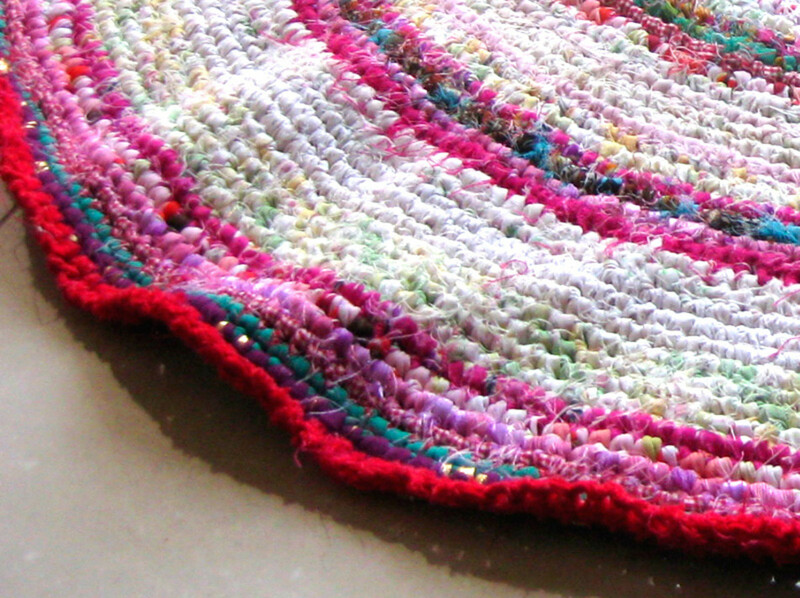 Have you made a rag rug before? To finish the rag rug, simply complete the last round, trim off the fabric yarn, leaving a 6cm tail, and then pull the fabric yarn through the loop on the crochet hook and pull to make a knot. Turn over the work and on the underside, weave the tail into the work (weave it through the same coloured stitches) and attach it properly with a needle and cotton thread, using a few knots and stitches. Trim thread, trim excess tail yarn. If you would like to add a decorative crochet edge, complete the finishing step above, then add the crocheted edge to the finished rug as a separate project (doing it this way strengthens the rug). It’s possible to use the techniques in this tutorial to create other projects, such as fabric baskets, cup insulators and other items. Rag rugging results in strong projects that hold their shape well, while having unique textures and colours. 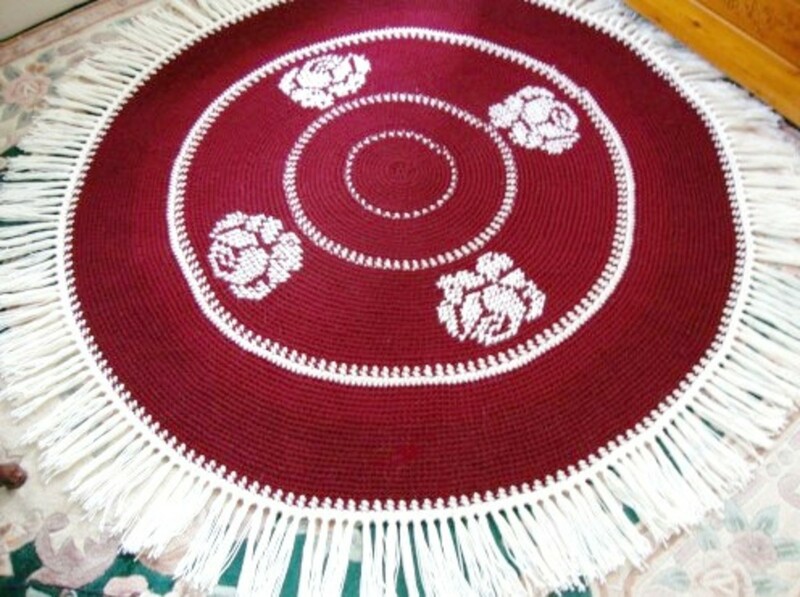 The trick to changing the shape of a rug into a basket is simply to set up the base sphere to the size you want, then don't increase stitches at all, and the work will form a natural cylindrical shape. I remember cutting rags for woven rugs for my mother. They were 2 inches wide. My hands would get sore after awhile. I imagine cutting is best done as one works the rug to avoid this. I have some old sheets I might want to use up this way. Thank you for these instructions! I'm back to read this tutorial again. I want to make this. At least I'm willing to give it a good try. Such a good hub with great instruction and photos. Thanks again and wish me luck! This is really great hub. I like the way you write. You have soe really great creative ideas in this hub. Thanks! DO THEY STILL HAVE FABRIC SHREDDER? IT MADE THINGS GO SO MUCH FASTER. THAT'S A LOT OF CUTTING. THANK YOU, SO MUCH FOR THE GREAT INFO. MELODY JAMISON, SORRY ABOUT THE CAPS. I SEE IT EASIER. I really like the colorful result. It's too bad you can't use old blue jeans. 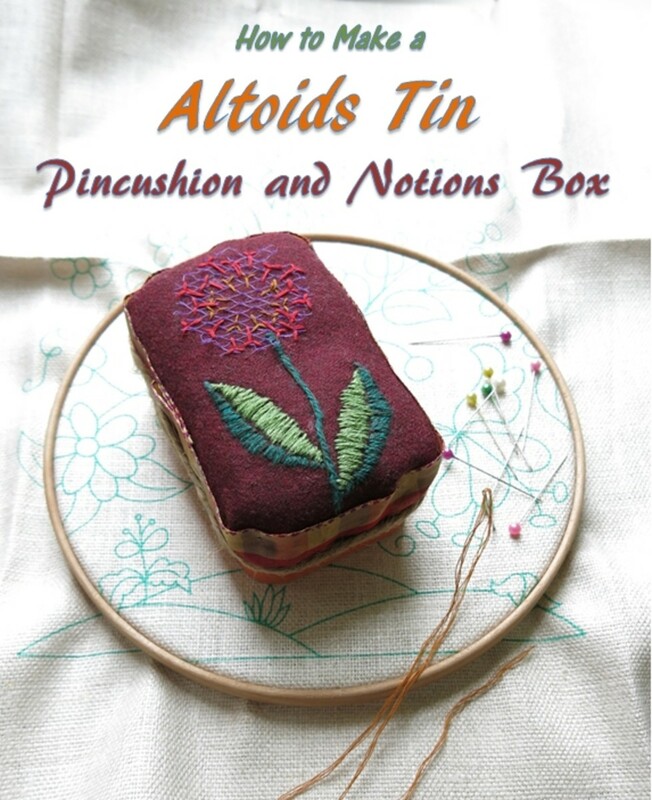 what a wonderful detailed post, have read many, thankyou so much for sharing, so many pins, so many googles!! AND there it is all in one blog. I love the rug. Such talent. Oh, I have not made a rag rug in years. I'm inspired to take up the project again this winter. I so loved my colorful rugs. I do remember though I didn't much like the sewing part. I'll have to get over that. Thanks! I had not realized how intricate the process was. A little strategic planning goes a long way. That rug looks absolutely gorgeous! This is certainly a great way to upcycle old garments and bed sheets, etc. Would also look great in a country home setting or with that type of décor. Rag rugs are certainly serviceable and can stand the test of time. 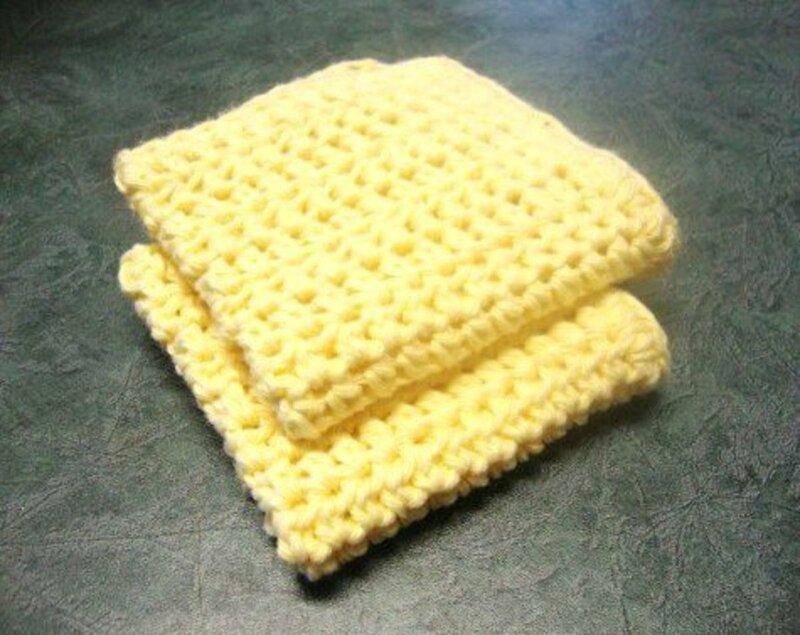 I did learn how to crochet many years ago and made some crocheted blankets for baby cribs, etc. Your rug photos and that basket you made look really nice. Thanks for the tutorial. Will pin it to my crafts board. Thanks! Unfortunately I am not teaching classes on it at the moment but I'll keep you in mind if I do! Your rugs are just stunning! I want to make one and will follow your excellent instructions. Will have to wait until my broken finger heals but meanwhile I can start collecting fabrics. Big thanks and big votes. Will share. These are so rustic looking ..I like the look and feel of them. While I have had several given to me I have never made one. Your directions were very detailed and all but I am one of those that would need to see you do this. As a matter of fact, I would join your class if you were teaching one on this topic!!! I love rugs. 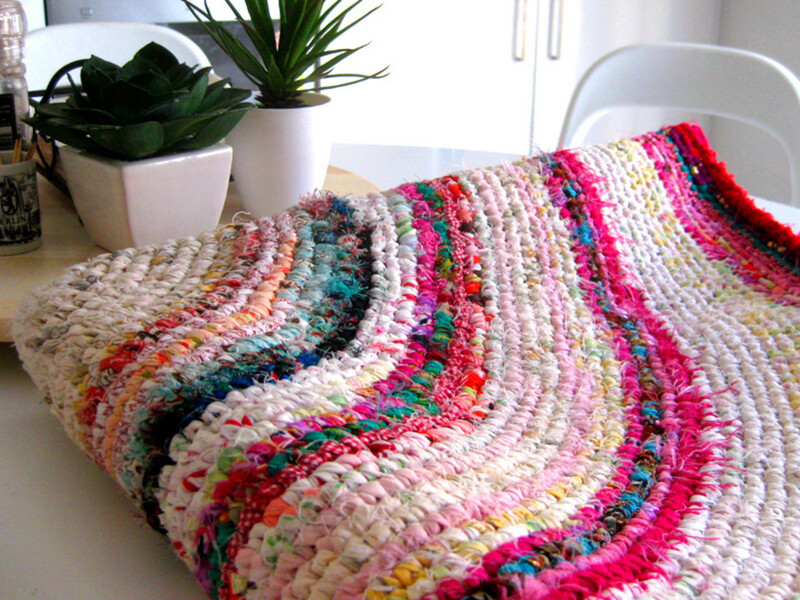 I´ve never realized how much work it would be to make a rag rug! You never know--I might actually get the courage to try this someday. Thank you for your clear instructions and information on gradation. Quite inspiring and your detailed instructions make me want to begin a rag rug project (to add to my many other unfinished ones...) Beautiful work and your directions and pictures are great. Love this! So am sending it around--very useful! I needed this. I have lots of scrap fabric. I also need to make a rug for beneath the kotatsu. Solution found. Great hub. Hi MizBejabbers, I have seen those plastic bag ones. They're good for other uses, but forget the bathroom as they ARE cold and non-absorbent. Using fabrics in rugs and making them well means you can put them in the washing machine 101 times and they get more absorbent with each wash. I think the plastic ones are better as pool mats or animal mats (eg for a muddy yard). I have seen successful plastic weaving as shopping bags. Welcome! I just started crochet again and find it relaxing. Your work here is intricate and shows creative talent. I'm sure I can make the rug from your detailed instruction. Thanks for sharing. I saw these rugs at Target recently, I must confess, I bought one...I lack the patience for making one myself, but your hub and tutorial is fantastic!! @gardener den, it's not hard to do. Maybe practise first on a small one to get the hang of it and after you've done one or two you won't need to think too hard. These rugs are a spinoff of toothbrush rugs from the old days but it's far easier and quicker doing them with crotchet and fabric yarn in 1cm widths. I've been saving fabric to do this. Thanks for the excellent instructions! Love the detailed tutorial, and the rug is beautiful. Great hub! Wow... Suzanne they look so beautiful. Thanks for sharing such a wonderful hub. Voted up and beautiful. 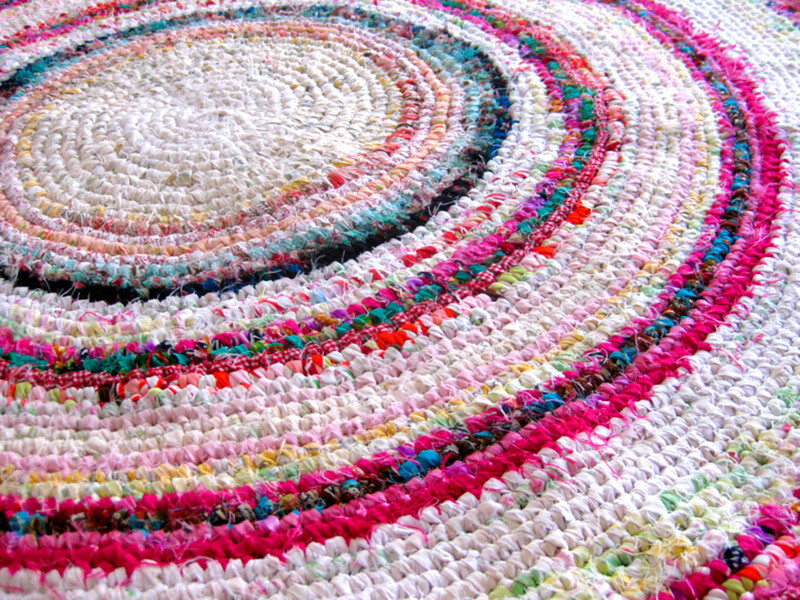 How To Make A Colourful Rag Rug is a beautiful hub your creative ideas are perfect. Oh I want to go do this! This is such a useful hub! Thanks for this! Pinned! awesome. I use this technique with men's button down shirts cut into strips to make handbags. I'll have to try making a rug or basket. Thanks for sharing. Love this! I have always wanted to learn how to make these and now I know how. Thank you!!! Hi MJennifer, Diagrams B & D are in there, you have to click on the thumbnails to see them. Glad you liked the rag rug instructions! Suzanne, I was so excited to see your hub as I love rag rugs and would love to repurpose my old sheets and shirts to make one. Forgive me if I overlooked it, but are you missing diagrams B - D? I'm only asking because I am looking forward to using your hub in making my rug -- and I am an absolute beginner at this. I hope I can recall how to crochet -- it has been many years since I last did so! Thank you for such a great, well-written tutorial. I hope I can overcome my lack of skills in this area and make my own gorgeous rug! Hi Moonmaiden, thanks for the pickup on the word "crotchet" vs "crochet". I have amended the spelling so it is more suitable for the US market, because Americans are big rag rug fans, whereas in Australia only a few people are into it. Thanks! Hi. I've done this once with t-shirt yarn but I like your way better. It's a good use for all the old sheets I have around here. Many are sizes that no longer fit my beds. Some are just plain old, and many were inherited from various places. What a awesome collection of photos too. In the USA we spell it 'crochet'. I didn't realize there was an alternate spelling. I need to keep my eyes peeled for my large crochet hook so I can make one of these. Great tutorial! Rag rugs are pretty common in my country and I've always wanted to have a go at making one. I'll have to bookmark this page so I can come back to it. Thank you everyone, for your kind comments. @pstraubie48, yes personal copies are fine....just not internet and website copies! What a beautiful Rug! So colourful and so creative! Thanks for sharing the details! Voted up and shared on HP! This project looks like a lot of fun besides using up unused fabric and putting worn out garments and linens to use. Nicely explained and illustrated. Such a bright, pretty project! Thanks for the details provided in this post. I am braiding a rug with strips cut from old sweatshirts. I should use this crochet technique with my cotton scraps. So glad you shared this. I have been wanting to make one of these for so long. Your directions are great and the photos are helpful. I have copied this so I can follow your directions easily. This rug is so pretty! A friend of mine is making a braided wool rug. I didn't realize you could also make one with a crochet hook. I love how you added instructions for your graphics too! A fantastic Hub! Thank you for this, it is inspiring. Voted up and shared! Wow! That looks amazing. I have lots of old but good clothes which I could use for this creativity. Thanks for sharing. Voted up and pinned for later use. I have made two rag rugs so far, and they have withstood the test of time. We walked on them for a few years, and now they are keeping the cold and snow out of our outdoor cat house. 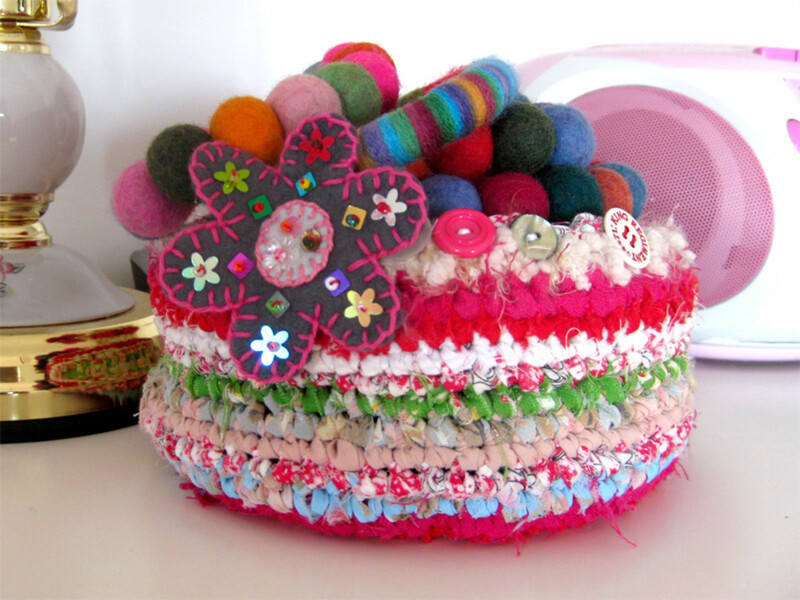 Your basket is very pretty; love the felted items inside. :) The rug is very nice as well. Oh, this is beautiful! I've seen these in many friends' houses and even in the store and have always wanted to make one on my own. I'll have to send pictures when I get one done for myself! Great article! 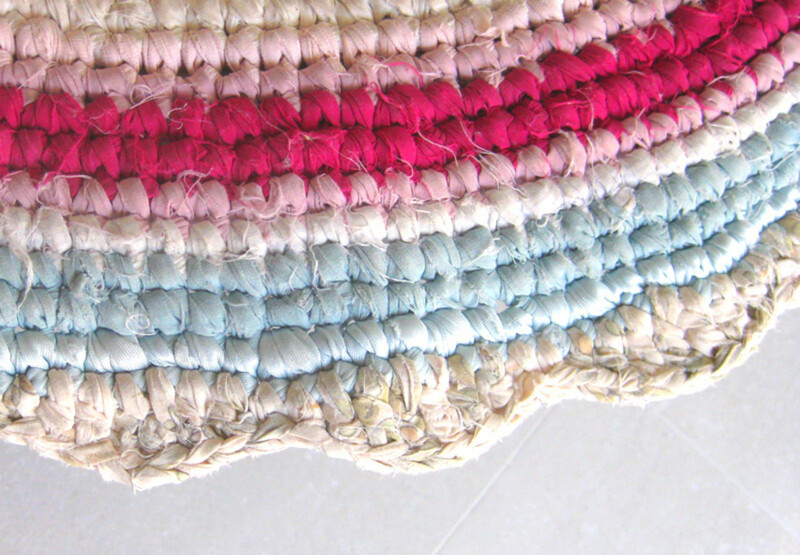 This is a lovely rag rug, and the fact that you recycle old clothes and fabrics makes it so much fun. The tips you give, like using three main colors are most helpful and the instructions quite detailed. Beautiful rug. Wish I had time to start one but I will keep your instructions. Voted up and pinned. Suzanne, I love this hub. Your photos and instructions/tips are great. I love the idea of making a basket with the same fabrics as the rug -- this enhances the rug and the look of the room, to bring it together in a charming way. 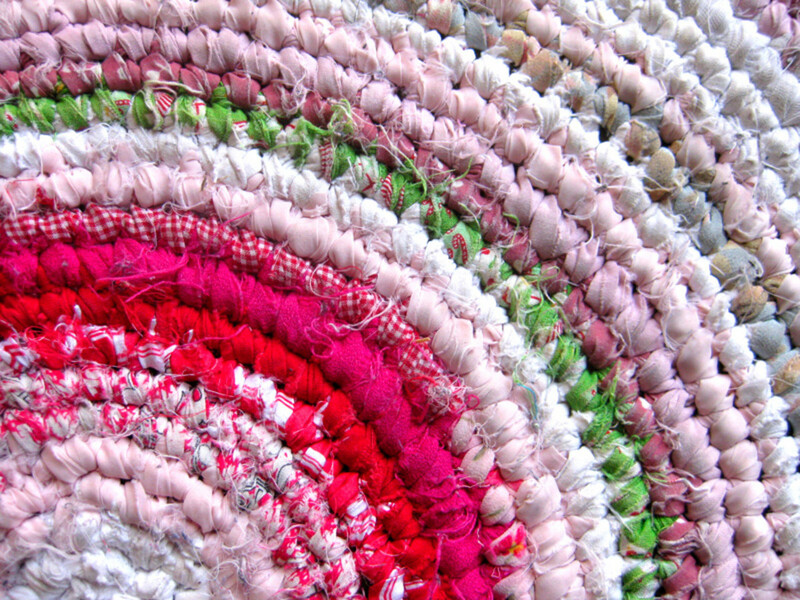 My mother used to make rag rugs and they were beautiful. You brought back some good memories for me. Thanks! Wow! People use to make these when I was a kid. Thanks for the memories, what an awesome tutorial! All votes up, shared and pinned! Beautiful rug and tutorial! I've made small braided rag rugs before, but this looks like it would be faster. Plus, it has a different texture. Will definitely be trying in the future. Voted up! Great tutorial! I've crocheted rugs out of yarn, but never done the rag rug before. I think I'm going to give it a try when my family moves to our new home. Voted UP, UAI shared to Facebook and pinned! How beautiful! I never knew these blankets could be made from scraps. I really like the basket as well. Voted up. What beautiful projects and photos! I've always wanted to try this. Now I have a good set of instructions (for when I get around to it). Thanks much! Your instructions and suggestions will be a help to many new rug makers! I always wondered how these rugs were made to look so inviting. Three gold stars to you. A beautiful creation with a very well explained direction. Simply great work! Wow, I was not expecting such a detailed tutorial! Your rug is gorgeous, and I really appreciate the thorough directions. The wide mix of colors in the rug is so inspiring. Hi! New here. I just want to say that although I have no experience with crafts to speak of, I really enjoyed this hub! Impossibly informative and creative and a job very well done! What an incredibly well done hub. I have a lovely rag rug that one of my Mother's friends made for me as housewarming present and now am tempted to give it a try myself. My grandmother made a couple of rag rugs (out of wool fabric, I think) that my parents still have today. I never talked to her about the process or knew anything about it, but I'd love to make a rug for my own home. Your tutorial makes my dream seem like a reasonable goal :) I love the colors you used for your rug - so pretty. Definitely pinning for when I have the guts (and fabric) to try this! Thanks for the great hub!! Well, I am a professional graphic designer, with 12 years experience, so that is why I am so with it re: Adobe software. But once upon a time I used to use Publisher and Word too. I highly recommend taking a short course in Photoshop, it really opens up your mind to new possibilities, and especially so with Hubpages! And there are lots of free tutorials on the web to assist. It can certainly make your photos look better with only a little bit of learning involved for each effect you want to learn. Thanks for the explanation! You are way more savvy about this stuff than I am. I used the "draw" toolbar in Word, which is much more crude and wouldn't produce diagrams of that quality. Then I puzzled over how to get them to upload, and finally figured out that I would have to convert them to jpg files. I will have to have a look at what photoshop will do. I never got good at that. Most of what I know about these aps I learned from my kids. PS - The "click to enlarge" is a feature on Hubpages, where you can add a picture, write "click to enlarge" in the caption and then it should all work. Hi everyone, thanks for your lovely comments. Regarding the diagrams, I drew them in biro on a piece of paper first. Then I went into Photoshop and did the outlined shapes for the fabric-looking pieces. Then I took those into Indesign and added text, arrows etc. Then I made a print quality PDF, opened it in Photoshop and cropped it to size. It's rather a long process...so perhaps a shorter process would be to draw them in biro, take them into Illustrator and trace over the top of them to get a similar effect (but without fabric). I will pass this one to Bev....it's really not my style but she will love it. Thank you! This is a truly amazing hub! Really skillfully done--and I'm jealous. The rug is gorgeous and the photographs are wonderful, but I was especially impressed with the diagrams. I just finished a hub with much simpler diagrams, and the whole process gave me a lot of trouble. The "click to enlarge" feature is great, too. Care to share how you did the diagrams and the click to enlarge? Absolutely beautiful, and I will be trying this! I've always wanted to do this, and now this hub provides everything I need -- as well as the visual kick start. Sharing, pinning, voted way up. Gorgeous.